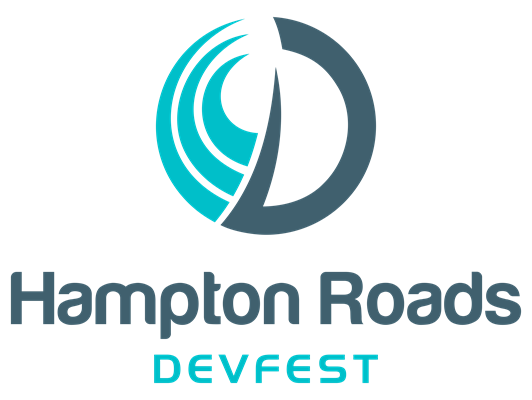 Hampton Roads DevFest is a technology conference on Friday, Nov. 16th focused on giving software engineers in the region exposure to new innovations and best practices. This fun packed conference will showcase numerous topics relevant to software developers for expanding your toolbox while networking with your peers. This event is in coordination with Google's DevFest season and support. This year we are doing a SINGLE TRACK with 20 minute sessions. What kinda of knowledge can you drop in 20 minutes? It's easier than you think! We're accepting submissions for any type of topic around software development and technology. Of course, don't expect the audience to be at your level. Some might be higher, some might be lower. That doesn't matter. Talk about what you think is interesting or cool. HRDevFest is a conference for locals to Hampton Roads. If you're outside the area, you're still more than welcome to submit or attend! We'd love to have you. You also agree to abide by the Code of Conduct.